The full-sized version of Thomas Golf’s popular AT-725 Square Hybrid 230cc Driver, this 460cc model delivers the USGA's maximum clubhead volume, without sacrificing an ounce of playability. 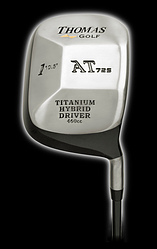 The AT-725 Square Titanium Hybrid 460cc Driver features Thomas Golf’s patented shot alignment guide, superior technology and high-quality titanium construction. Translation: It’s long, straight and built to last. It’s also one of a kind. Recognizing the limitations of other square drivers—namely, a lack of distance—the engineering team at Thomas Golf set out to craft a club that overcame common constraints. 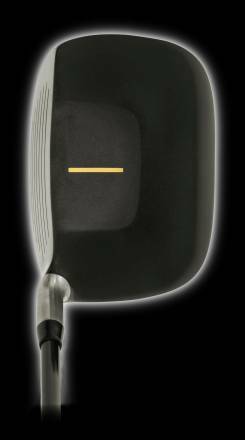 The AT-725 Square Hybrid 460cc Driver features a simple yet crucial innovation: a taller clubface. Measuring 58mm top to bottom, the club easily compensates for the ball “rolling up” the face at impact. An expanded sweet spot equals consistently pure contact and more forgiveness. That equals more distance for your average drives—and the ones you catch cleanly. Thomas Golf’s AT-725 Square Hybrid 460cc Driver retains the ultra-high MOI (moment of inertia) that made square-shaped clubs such a hit in the first place. And its flat crown is a perfect fit for the company’s patented shot accuracy technology—a simple guide that helps you line up correctly every time. A lightweight yet super-strong titanium head, paired with rounded corners and a hybrid-inspired design, make the AT-725 Square Hybrid 460cc Driver a breeze to swing. 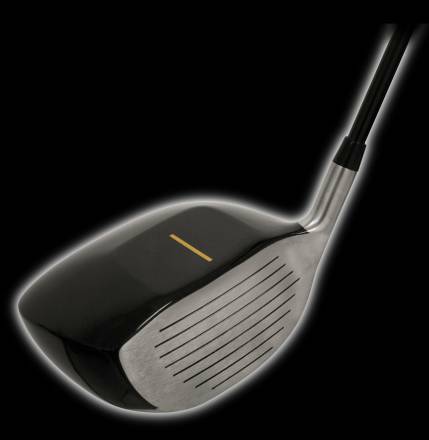 With a standard loft of 10.5°, it’s also easy to get airborne with the playability to hit draws and fades. Like all Thomas Golf clubs, the AT-725 Square Hybrid 460cc Driver is custom fitted to the purchaser’s specifications for length, shaft material and flex, lie and grip size. Thomas Golf’s patented alignment guide makes it easy to aim the clubface precisely at your target on each and every shot. The square clubhead further aids visual alignment of the feet, hips and shoulders. 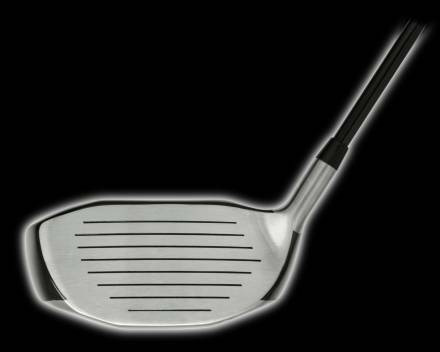 The club’s level crown creates a wider effective hitting area for excellent forgiveness on off-center hits, so your misses finish closer to the target. With a lower center of gravity (COG) than conventional drivers, the AT-725 Square Hybrid 460cc Driver delivers higher ball flight for extra carry distance off the tee. The flat crown eliminates the energy-absorbing flex of traditional, dome-shaped drivers. That means more energy is transferred directly from your swing to the clubface and into the ball, resulting in longer drives. Like all Thomas Golf drivers, fairway woods and hybrids, the AT-725 Square Hybrid 460cc Driver features advanced top-plane technology. The level crown lowers the COG to directly align the sweet spot of the club with the sweet spot of the ball at setup – greatly boosting your chances of hitting it flush, generating maximum distance and optimum spin. The Thomas Golf AT-725 Square Hybrid 460cc Driver delivers incredible distance, accuracy, forgiveness, trajectory, sound and feel. There’s never been a square driver quite like it.